In 2016, there were nearly as many people in Washington county jails awaiting trial as the population of Lincoln County. The vast majority of people in jails throughout the state have not been convicted of a crime: 77 percent of them, according to findings outlined in the recently released Pretrial Reform Task Force Final Recommendations Report. The report was the culmination of 18 months of research and analysis, incorporating stakeholders from across Washington to look at the state’s pretrial practices and identify areas to make improvements. The task force’s executive committee included Washington Supreme Court Justice Mary I. Yu representing the Minority and Justice Commission, King County Superior Court Judge Sean P. O’Donnnell representing the Superior court Judges’ Association, and Spokane Municipal Court Judge Mary Logan representing the District and Municipal Court Judges’ Association. Judge Logan (who was one of the Spokane Municipal Community Court recipients of the 2018 APEX Award of Merit)—with input from her fellow executive committee members—took a moment to answer some questions about the task force, its findings, next steps, and the broader criminal justice reform implications included in the report. What follows is an excerpt of that interview, the full version of which will appear in an upcoming issue of NWLawyer. NWSidebar: The report highlights the potential for Pretrial Risk Assessment Tools (PRTA) to assist in data collection and better identify defendants less at risk for skipping court. What considerations should courts and legal professionals make when assessing these tools, specifically in ensuring that the tool isn’t subject to biases of the software creators? Logan: Any tool should always be viewed as one component of information a judge considers in making decisions—an additional arrow in a quiver of arrows. Pretrial service departments can offer insight into a person’s living circumstances, which is also quite helpful in making decisions. Important whenever any innovation is being considered is the “why” of that endeavor. In other words, the entity should collaboratively and cooperatively consider just what problem is being addressed by the use of such a tool. Is the goal to reduce failures to appear? Is the goal to be good managers of limited resources? Is the goal to reduce reliance on jail as a means to assure appearance? As to the biases that can exist, it is important to recognize that without any specialty tool, a judge has very little information upon which to rely other than criminal history, which can also continue the same biases. NWS: Efforts that reduce or eliminate jail time, even those efforts meant to prevent incarcerating people who’ve not been convicted of a crime, are often criticized as being “soft on crime.” What is your response to such criticism, and what findings from the pretrial reform assessment do you think support that? Logan: One of the most important takeaways from the analysis is that being smart on crime is more productive then being “hard” on crime. The 3 Days Count Initiative demonstrates how just three days in jail is a significant disruptor resulting in loss of employment, belongings, and housing. The examination of the results of mass incarceration, particularly on non-violent misdemeanor offenses, have shown that effective use of alternatives to incarceration, such as a robust Pretrial Services department, results in fewer people coming back into the system. Using tools to separate populations of offenders into categories of risk helps the judiciary appropriately apply conditions such as text messaging notice of court appearance that result in greater appearance to hearings, which results in higher rates of accountability and respect for victims. NWS: What can other legal professionals do to get involved if they’d like to help with pretrial reform? Logan: First steps would include education on the current system. Nationwide, there has been a close examination of the criminal justice system and it is worthwhile to start from that base of examination as it segues into the use of alternative approaches—building a better mouse trap starts by understanding the workings of the current “trap” and tuning it up to create the possibility of better results, meaning prompt access to counsel, handling of charges, application of services where needed to address needs including addiction and the devastating effects of drug/alcohol abuse, generally addressing the underlying reasons someone does not appear. Volunteer lawyers are also necessary to aid in the efforts. Involvement may require stepping up and getting uncomfortable in efforts to amend pretrial efforts, but the effort is supported by the data from the state. 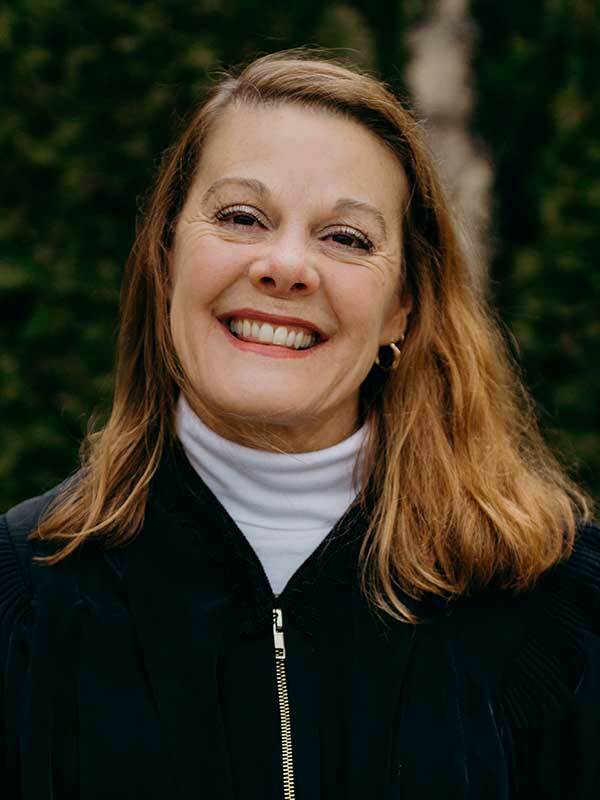 Judge Mary Logan has been practicing law for over 30 years, with a broad base of experience as a licensed attorney in Washington and California. She was the presiding judge of the Spokane Municipal Court from 2009 through 2014 and has been a sitting judge since appointment and uncontested elections from 2009 to present. She was an elected member of the District and Municipal Court Judges’ Association Board of Governors, and presently serves on the Therapeutic Courts Committee, Pre-Trial Reform Task Force Co-Chair, Trial Court Sentencing and Supervision Committee, the Board for Judicial Administration, Dean Emeritus for Judicial College, and the Judicial Needs Work Group. She has received numerous awards, including the Access to Justice Board’s 2015 Judicial Leadership Award, the Center for Justice’s 2014 Justice Hero Award, the Certificate of Excellence Mayoral Award, the Certificate of Special Congressional Recognition for her work with Veteran’s Therapeutic Court, and was one of the Spokane Municipal Community Court recipients of the 2018 APEX Award of Merit.